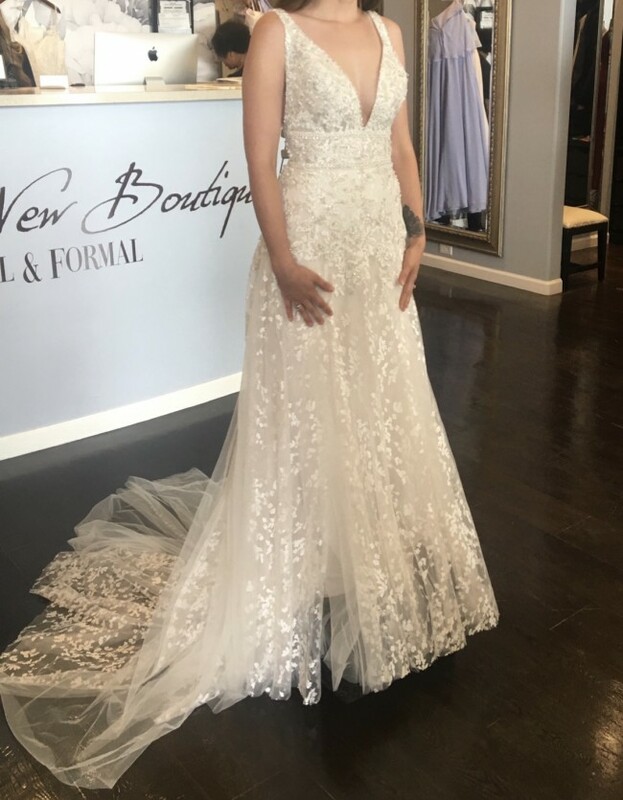 Brand new with tags, unaltered Allure Bridals dress. This dress is absolutely stunning. It has ivory/almond/champagne colors, and beaded lace with English net underneath. The dress has a deep v neck with gorgeous beading and floral detail that disperses towards the bottom of the dress. It has a fitted waist and then the dress gently cascades to the floor with a very slight train. The back is also a beautiful deep v with button detailing. This dress has never even been worn! (The dress in the first pic was the sample). It comes with its own zip up garment bag. I also have a matching veil if the buyer is interested.